Loop Impedance Tester for fault loop and PSC testing. Australian and New Zealand standards mandate testing of fault loop impedance on circuits not protected by RCD's, both at installation and after maintenance. The CZ20054 Loop Impedance Tester conducts earth fault loop impedance and prospective short circuit current (PSC) tests. 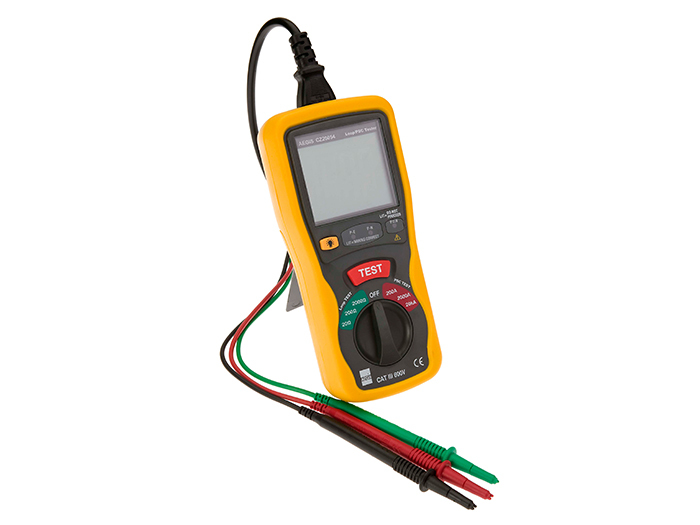 The Aegis Loop Impedance Tester takes the confusion out of loop/psc testing by providing an automatic wiring check upon connection and single button operation.